The shoulder girdle can rotate almost 360 degrees and is made up of three small muscle heads: the front, middle, and rear deltoids. In order to achieve symmetry and proper alignment, it is important to work all three muscles equally. For example, when you work the chest, you use the anterior or front deltoid. If you focus primarily on training the chest, it can cause the shoulders to pull forward causing a slouch. 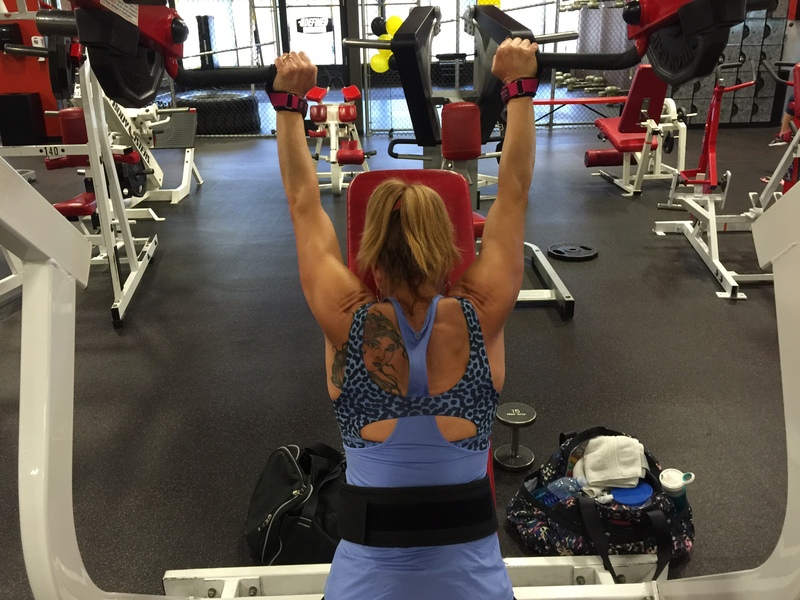 Because the shoulders have three different muscles, they should be worked from different angles. You need to include both multi-joint, compound exercises and single-joint, isolation moves. Multi-joint shoulder exercises such as presses incorporate both the front and medial deltoids (and some rear deltoid activation as well). Since different muscle groups are being used, it allows you to push more weight, and is also a good way to warm up. I like to start with a lighter weight and gradually pyramid the weight up with each set. Isolation exercises allow you to target a specific muscle group. These are small muscle groups, and you will need to use lighter weight when isolating them. Bring intensity into your shoulder workouts. You could train often, but if you don’t dial in the intensity the muscles simply will not respond. How much rest are you allowing between sets? 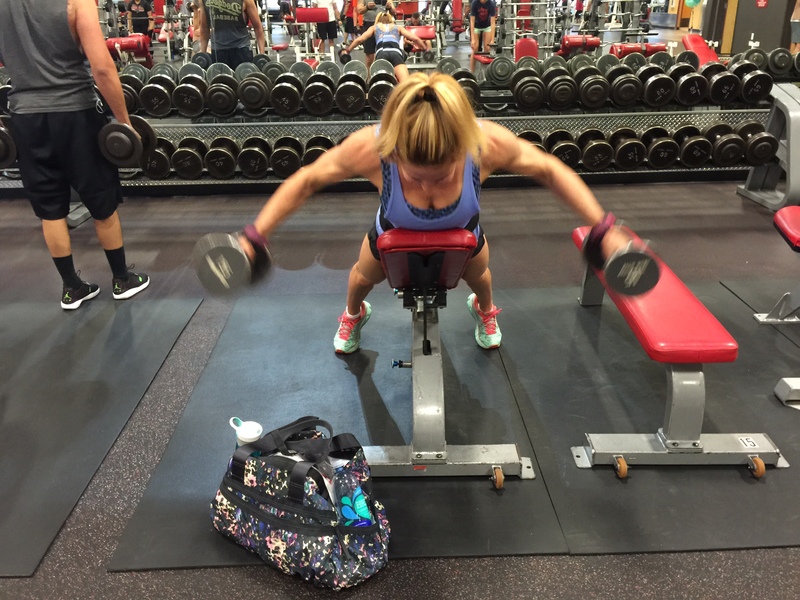 Are you doing enough reps and sets? How heavy are you lifting? Approach each workout with the intent of bringing intensity, and you will begin to see changes in your body. Although rest between sets is beneficial for recovery, you don’t want too much time to elapse. For my goals, I typically rest between 30 seconds to 1 minute between sets depending on the exercise and the amount of weight used. Volume (the number of reps and sets) needs to be enough to increase blood flow and stimulate muscle growth. If you simply do one set, this will not properly activate development. Finally, be sure to choose a weight that is challenging but allows you to complete 3 working sets of 8-12 reps after warming up the muscles. This workout focused on lots of compound overhead presses for strength and size with some isolation moves for the medial and rear deltoids. Sets, reps, and rest are based on my personal goals. Always modify as needed. 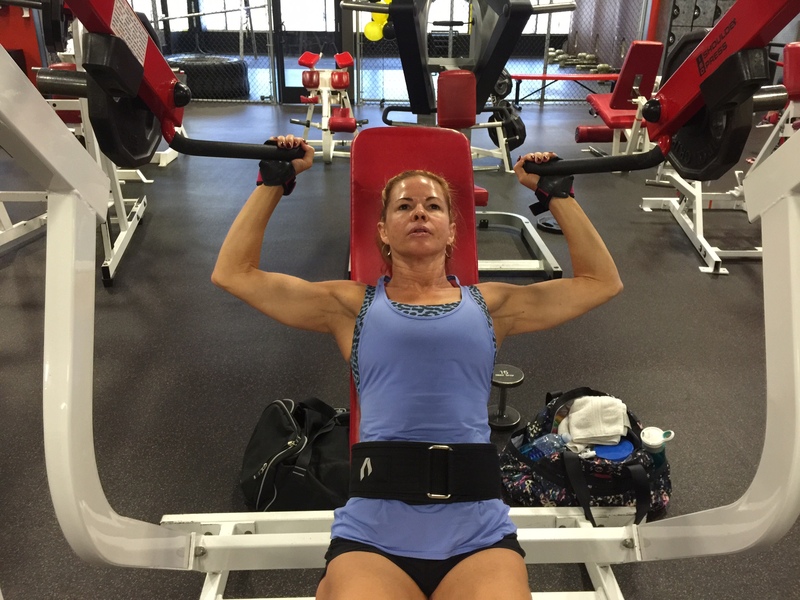 This entry was posted in Shoulder Training and tagged shoulders, Workouts Exercise by carolcovino. Bookmark the permalink.